Справочно. По состоянию на 1 февраля 2017 г. в качестве резидентов СЭЗ зарегистрировано 410 компаний, на которых занято свыше 123 тыс. человек. 6. финансирование расходов на создание инженерной и транспортной инфраструктуры, требуемой для реализации инвестиционного проекта резидента СЭЗ, в первоочередном порядке за счет средств, предусматриваемых в Государственной инвестиционной программе и местных бюджетах, в случае реализации резидентом СЭЗ инвестиционного проекта с заявленным объемом инвестиций более 10 млн. евро. Основным документом, регламентирующим порядок и условия применения таможенного законодательства для резидентов СЭЗ, является Соглашение по вопросам свободных (специальных, особых) экономических зон на таможенной территории таможенного союза и таможенной процедуры свободной таможенной зоны от 18 июня 2010 г.
Единую таможенную территорию Евразийского экономического союза (далее ‒ таможенная территория Союза) составляют территории Республики Беларусь, Республики Казахстан, Российской Федерации, Кыргызской Республики и Республики Армения. Пределы таможенной территории Союза являются таможенной границей Союза. Для каждого резидента СЭЗ по его заявлению, решением администрации СЭЗ по согласованию с таможней в регионе деятельности которой находится резидент СЭЗ, определяются пределы свободной таможенной зоны (далее ‒ СТЗ). Справочно. Иностранные товары, помещенные под таможенную процедуру СТЗ, сохраняют статус иностранных товаров, а товары таможенного союза, помещенные под таможенную процедуру СТЗ, сохраняют статус товаров таможенного союза. 2. освобождение от уплаты ввозных таможенных пошлин, налогов (по сырью, помещенному под таможенную процедуру СТЗ) при вывозе готовой продукции за пределы таможенной территории Союза. The most important objectives of Belarusian Free Economic Zones (hereinafter - FEZs) are to encourage the launch and development of enterprises operating new cutting-edge technologies, create jobs and promote exports. Like all over the world, special customs, registration and tax regimes applicable to FEZs provide enterprises with an opportunity to work in particularly favorable conditions. N.B. By February 1, 2017 Belarusian FEZs brought together 410 companies, employing more than 123 thousand. 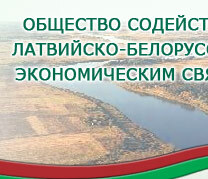 There is a special uniform legal regime for all Belarusian FEZ residents. create and (or) develop export-oriented and (or) import-substituting enterprise. perform activities related to the expat employment of citizens of the Republic of Belarus, foreign citizens and stateless persons permanently residing in the Republic of Belarus. 6. the creation of engineering and transport infrastructure required to implement a FEZ resident’s investment project is prioritized and funded accordingly through the State Investment Program as well as by local budgets (provided a FEZ-resident implements an investment project claimed to disburse a worth of over 10 m euro in investments). Taxation particularities of FEZs shall not apply to banking and insurance, public catering, gambling, electronic interactive games; securities transactions; sales of goods (works, services) involving full or partial use of FEZ-resident’s fixed assets (owned or held by a FEZ-resident) and (or) FEZ employees’ labour outside its territory. 5. 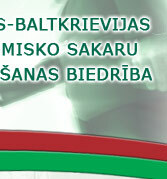 Tax Code of the Republic of Belarus (Articles 326 and 327). The main document regulating the procedure and conditions for the application of customs legislation to FEZ residents is the Agreement on Free (Special) Economic Zones on the Customs Territory of the Customs Union and Free Customs Zone Procedure of 18 June 2010. The common customs territory of the Eurasian Economic Union (hereinafter referred to as the Customs Territory of the Union) is the territory of the Republic of Belarus, Republic of Kazakhstan, Russian Federation, Kyrgyz Republic and Republic of Armenia. The Customs Territory of the Customs Union is located within the borders of the Customs Union. The limits of a free customs zone (hereinafter referred to as FCZ) are assigned for each FEZ-resident upon the latter’s request as well as upon the decision of a FEZ administration in coordination with the customs office in the region, where a FEZ-resident fulfils its economic activities. When goods are placed under the customs procedure of FCZ they are placed and used within the territory of FCZ without paying customs duties, taxes, and without being subject to non-tariff regulation measures for foreign goods and prohibitions and restrictions for goods of the Customs Union. N.B. Foreign goods placed under the customs procedure of FCZ retain the status of foreign goods, and goods of the Customs Union, placed under the customs procedure of FCZ, retain the status of goods of the Customs Union. Goods made (obtained) from goods of the Customs Union and placed under the customs procedure of FCZ, as well as goods made (obtained) from goods of the Customs Union, and placed under the customs procedure of FCZ, and from goods of the Customs Union that have not been placed under the customs procedure of FCZ acquire the status of goods of the Customs Union. Goods made (obtained) from foreign goods placed under the customs procedure of FCZ, and goods made (obtained) from foreign goods placed under the customs procedure of FCZ and from goods of the Customs Union acquire the status of foreign goods. 2. exemption from import duties and taxes (for raw materials placed under the customs procedure of FCZ) when exporting final products outside the customs territory of the Union.